Below are links to useful sites the Japan Foundation has created for learning Japanese. These days, anyone studying a language knows that using the internet is a vital strategy for success. But the internet is full of so many sources—how can you be sure which ones are worth your time? Nihongo-e-na is here to make it easy, compiling handy links to dozens of useful Japanese-language websites and online tools. Whether you’re looking to enhance your vocabulary, practice those kanji, or look up a word in a dictionary, you’ll find it here, along with lots of other helpful resources. Links are divided into intuitive categories, so you can get started in no time. Aimed at Japanese-language beginners, this innovative site is fast-paced, colourful, and incredibly interactive. Featuring more than 200 video clips and over 2,100 questions to test your skills, the site also tracks your progress as you choose an avatar and make your way through a manga-style role-playing game. The episodic video content originally aired on NHK in Japan, and on TV stations in 12 different countries, but now you can follow the story at your own pace, while supplementing it with several types of quizzes and drills. Created as a sister-app for the website “Erin’s Challenge!”, Challenge with Erin can be used to study beginner-level vocabulary and expressions in an engaging way through card games, manga and quizzes, and it can also be used to check how much you were able to remember. Lately, one of the most popular reasons for learning Japanese—especially among young people—is enthusiasm for Japan’s incredible selection of manga and anime. But as any fan knows, the language spoken by Monkey D. Luffy or Himura Kenshin doesn’t exactly sound like textbook Japanese. With this site, you’ll be able to move beyond Tokyo Standard dialect by practicing the expressions of eight different “character types”, including Samurai, Scrapper, and even Osakan, using fun quizzes and games. Get ready to power-up your Japanese! MARUGOTO+ (MARUGOTO Plus) is a website where users can learn about Japanese language and culture based on the contents of the “MARUGOTO: Japanese Language and Culture”, the official coursebook of the Japan Foundation, which complies to the JF Standard for Japanese-Language Education. ‘Minato’ – learn Japanese and interact with fellow students around the world online. At Minato our constant goal is to always develop the most inspiring Japanese courses. Let Minato be the place you start your Japanese language and cultural exchange journey. 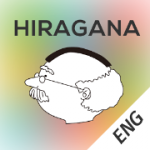 “Hirogaru, get more of Japan and Japanese” is a site for learning different things about Japan and the Japanese language through your own interests. It is designed for learners but is also a great resource for teachers, with a variety of videos and articles on popular topics. 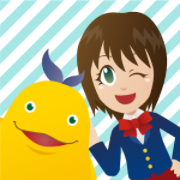 HIRAGANA Memory Hint is an app that allows you to learn hiragana in a fun way using mnemonic pictures. It includes plenty of quizzes for you to test your understanding. 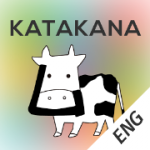 KATAKANA Memory Hint is an app that allows you to learn katakana in a fun way using mnemonic pictures. It includes plenty of quizzes for you to test your understanding. KANJI Memory Hint 1 is an app that lets you check whether you have learned a kanji in a game after you have studied it using associative drawings. 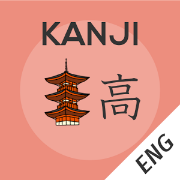 The kanji included in this app are all based on the textbook developed by the Japan Foundation, Marugoto: Japanese Language and Culture, Starter (A1). KANJI Memory Hint 2 is an app that lets you check whether you have learned a kanji in a game after you have studied it using associative drawings. The kanji included in this app are all based on the textbook developed by the Japan Foundation, Marugoto: Japanese Language and Culture, Elementary 1 (A2). 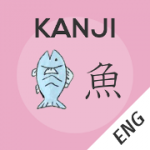 KANJI Memory Hint 3 is an app that lets you check whether you have learned a kanji in a game after you have studied it using associative drawings. 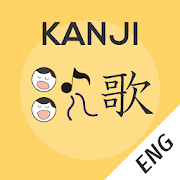 The kanji included in this app are all based on the textbook developed by the Japan Foundation, Marugoto: Japanese Language and Culture, Elementary 2 (A2). Nihongo de Care-navi is a Japanese language-learning tool designed primarily to support people working in the fields of nursing and care-work.